Stretch marks are purplish, brown or reddish colored lines that are hideous to look at. Although they gradually fade into whitish or silvery streaks they still deface your appearance. These marks are formed due to excessive skin stretching because of sudden weight gain or weight loss, pregnancy, hormonal imbalance or growth spurts. Stretch marks are permanent marks on your body and these unsightly marks stay forever once formed. But you can try simple tricks like self-tanner and concealer to disguise them instead of going for expensive options like laser therapy and plastic surgery. Find a shade of concealer which matches your normal skin tone. Do not go for a very light shade of concealer that will not hide anything but rather make things worse. Choose a concealer that is heavy so that it does not slide down. Pick a small make up brush and dab it on the concealer. 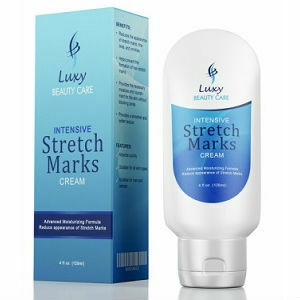 Pat it over the stretch marks using light and gentle strokes. Apply lighter layer of the concealer for the best results. Here is a beauty hack! To set the makeup in situ, disperse a jot of translucent powder over it. Use a pearly cream. 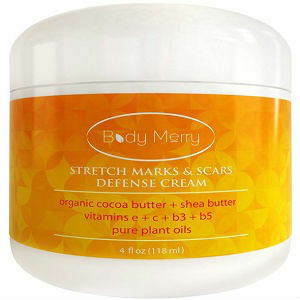 Apply a tinge of cream on the stretch marks. This cream will reflect light making these marks less noticeable. Take a wash cloth and dip it in some warm water. Massage your skin in small and circular motions with this wet washcloth. 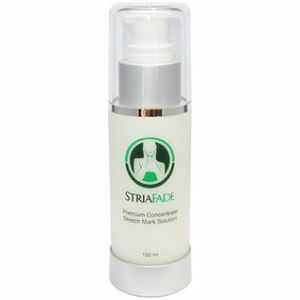 This will help exfoliate the skin so that self-tanner is absorbed more easily and effectively. Pat yourself dry with a cotton towel. Select a good self-tanner. Now take some self-tanner in your palm and apply in on your torso, thighs, legs, arms and massage it well in circular motion. Make sure you apply it all over the area and not just over the stretch marks. If you just apply the self-tanner over the stretchmarks, then it will make them even more noticeable. As you apply the self-tanner continue lightly from the ankles to the feet and from the wrist to the hands. This trick will give a more natural look to your tan. 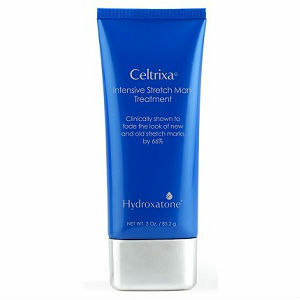 If your stretchmarks are visible even when your self-tanner has dried, then apply a bit more of it. This can happen when your stretchmarks are whiter in color. Take a cotton ball and dunk it in the self-tanner. Now use this cotton ball to dab each stretch mark individually to get a more perfect look. Take the damp washcloth once more to softly rub your ankles, knees and elbow. These are the areas which absorb the most color compared to other body parts. Wait for a minimum of ten minutes to let the self-tanner dry, before you get dressed. And abstain from any strenuous exercise or physical activity, sweating etc. for at least 3 hours after artificial tanning. Despite exaggerated claims made by lush beauty products, containing fancy ingredients like Aloe vera and shea butter, studies have shown that they are not as effective as they claim.